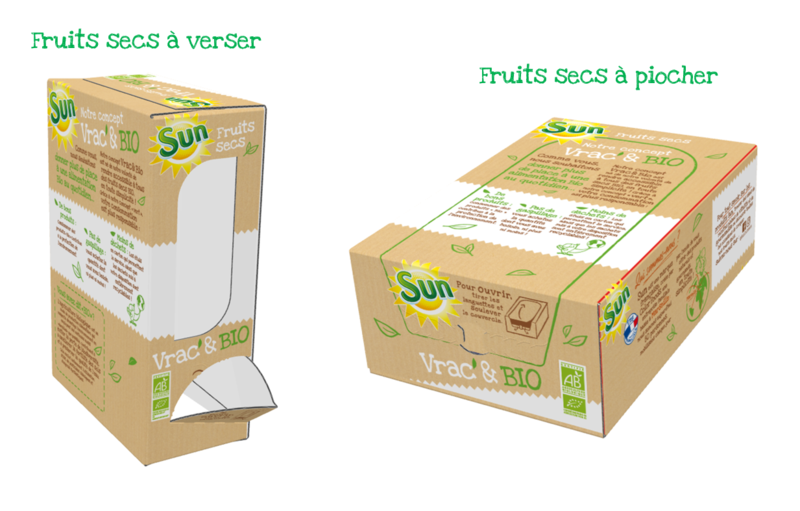 The innovative SUN VRAC&BIO concept is based on a system of dispensers designed to hold refills fitted with a pouring spout. 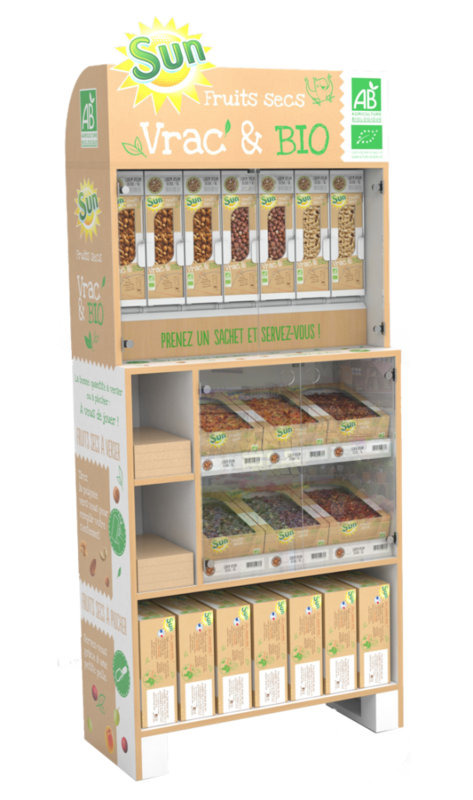 Also equipped with a handle, the system allows customers to tilt the refill causing the dried fruit and nuts to pour into bags (100% recyclable as are the refills). The patented system is practical not only because it provides an easy self-serving solution, it is also easy to keep clean: when the refill is empty, a new one can be easily inserted in the dispenser drawer. And for dried fruit or nuts that do not pour as easily as others, they are supplied in Color Food refills designed like tubs fitted with an opening on the top. A small scoop attached to the stand allows customers to self-serve. 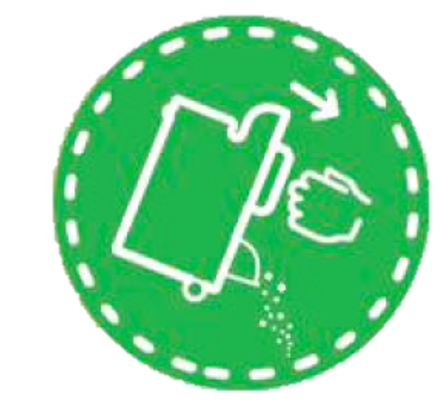 Once emptied, each refill can be instantly replaced by another just by taking another one from the storage space in the lower section of the stand, thereby cutting out the cleaning stage, improving product traceability and reducing stock shortages to the maximum. Because usability was also a factor, the weight of refills has been deliberately kept to no more than three kilos. Likewise, the self-serve section, situated at between 50 cm and 150 cm from the floor, is at easy reach for all customers. The retail furniture was also designed by Color Foods to be moved using a pallet truck which gives stores excellent flexibility when organising the sales area by season.